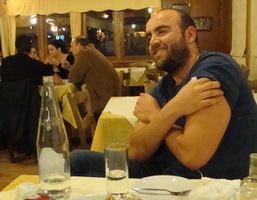 Nikos Tsepetis is the owner and manager of the popular Ammos Hotel a lover of nature and of all things good and Cretan. 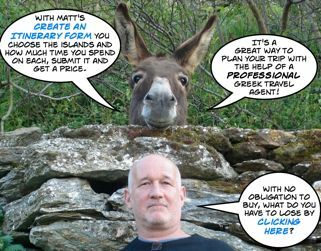 He also knows a lot about Chania and Western Crete. At first spend a good whole day in the old city. 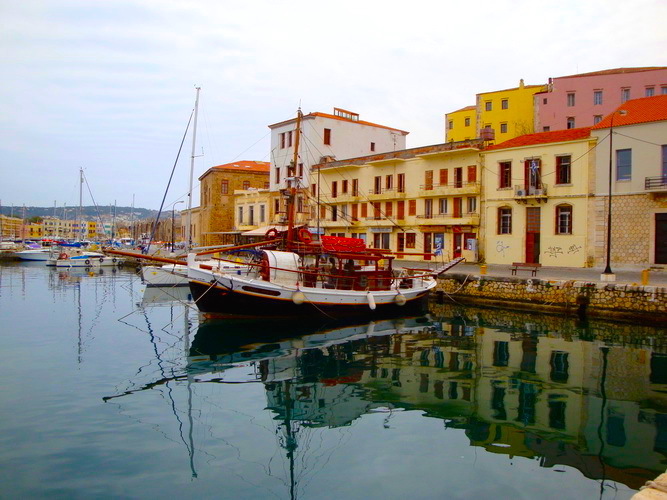 Walk around the small roads, visit the Naval Museum and the Archeological Museum which though not as important of course as the one in Iraklio definitely one of the cutest little ones you have ever seen. See the Cathedral on Chalidon road, the Catholic church right across, the Mosque of Kioutsouk Hasan (at Syntrivani Square) and the Jewish Synagogue (renovated and directed by the intriguing Nikos Stavroulakis). Go to the leather street (Skridlof), at the knives street (Sifaka), walk on the Kanevaro street, the old Muslin quarter on Zambeliou. Visit the Byzantine Museum on Theotokopoulou Street. For modern art go to the municipal museum in Chalidon and at Tzamia Kristala, a very interesting gallery with an impressive collection of modern Greek art, at Skalidi Street. Go to the closed market, a beautiful building from the early 20th century, to buy herbs and cheeses. Cretan graviera and mizithra are two you really have to try. From the back door walk down the Daskalogianni street and stop at Agios Nikolaos Square with its platanos tree which is over 200 years old. Stop there to have a coffee or lunch. Then walk Andreas Papandreou street in the new city, and go to the small but really nice public gardens with the clock tower and the amazing out-door cinema called Kipos with mostly old and art movies. At the public garden stop in the Café for an ice cream and for watching the Greek families who go there with their children. Excursion 1. I love the Therissos, Zourva (see the restaurant page), Meskla and Fournes and then back to Chania itinerary which is not far away at all. Excursion 2. I like the Venizelos graves at Akrotiri (4km) with the imposing views of Chania city and then you can go towards the airport to find the 2 Venetian monasteries of Agia Triada and Gouverneto. 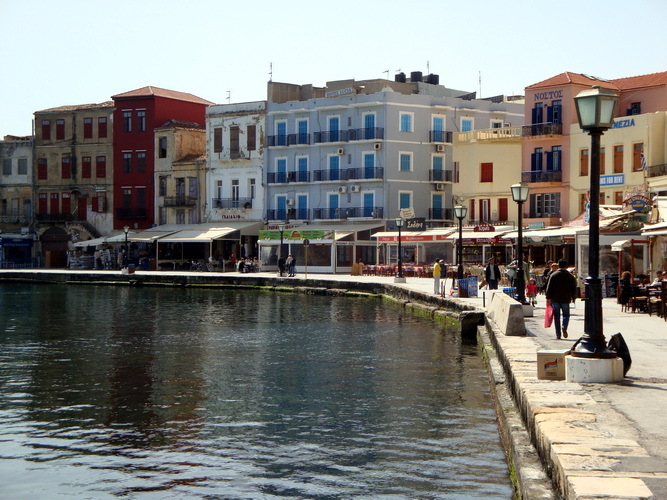 Chania is a heaven for people interested in churches and Monasteries. At Gouverneto take the small path that leads to the caves and then continue, if you have the courage, to get to the sea (must be a couple of hours, I did it years ago). 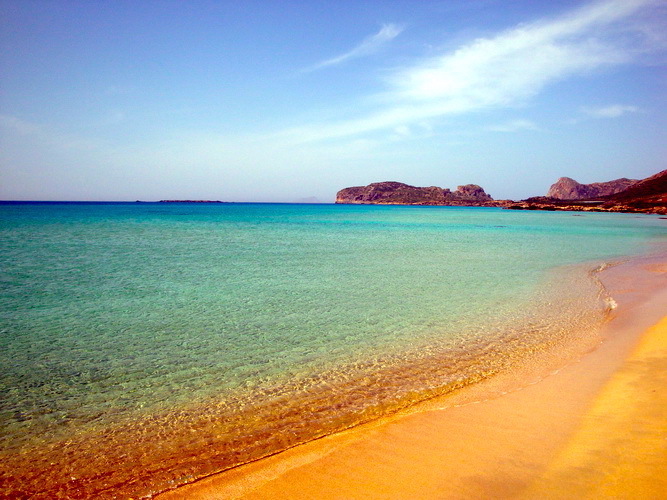 After that you can either go to Stavros Beach where Zorba the Greek was filmed, or even better to Marathi, a small and very clean beach frequented by the locals. Avoid Sundays. Excursion 3. Near Akrotiri and with the same imposing views of Souda Bay one can see the ancient Aptera, the Itzedin Castle, and then my favorite villages of Apokoronas, Armeni, Nio Chorio, Stilos (visit the church Mother of God,12th cen. ), Agii Pantes, Paidochori, Fres, Tzitzifes ( see the restaurant page). Then you can continue towards Sfakia, one of the most famous places in Greece mostly for its savage inhabitants. Before Sfakia (1 hour drive) you will find the beautiful Imbros Gorge. The landscape after Imbros and towards Chora Sfakion is breathtaking!!!. Once you arrive in Sfakia, avoid staying in the touristy and occasionally unfriendly Chora Sfakion and go either to Illingas (west, 5 minutes drive) for swimming or on the other direction (east) towards Fragkokastelo a 20 minutes drive, to a very well maintained Venetian castle, with my favorite beach afterwards, called Orthi Ammos (you find it easier if you look for a hotel called Fata Morgana, and the beach is right below). Now If you like mountains and you are not afraid to drive on rough cliffs you should definitely visit, before leaving Sfakia, the Anopoli village and the Vardinogiannis bridge (30 minutes from chora Sfakion) with an UNBELIEVABLE view of Aradena’s Gorge. Excursion 4. 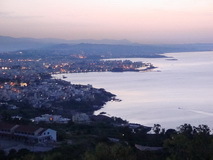 West of Chania city and after the city of Kissamos (aka Kasteli) one can find the Falasarna Beach (40 minutes drive). From Falasarna take the road towards south, go past Sfinari and after a beautiful 40 minutes drive (with amazing views of the sea) you arrive at the famous Elafonissi Beach (just before Elafonissi stop to visit the Chryssoskalitissa Monastery). Don’t stay at the main beach, walk through the lagoon sea and get on the little island just in front with a number of beautiful and uncrowded coves. Next to Elafonissi but with some difficulty to find is the Kedrodassos Beach, one of the most beautiful and tropical beaches I have ever seen. On your way back do not take the same road but come through the mountains and after Elos village do a 20 minutes deviation to visit the stone built village of Milia up in the mountains. You must have lunch here!. Other excursions that I really like include the world known Samaria Gorge, one of the longest gorges of Europe. Don’t do it if you have knees problems. 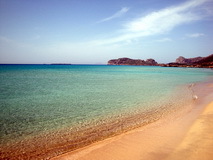 The Balos and Gramvousa peninsula, you can drive or even better do the cruise from Kissamos. There are 3 boats leaving every day. Take the last one at 12:00. The whole trip is approximately 8 hours and you have many good hours of swimming and sight seeing apart the boat ride. The Paleochora village (go to Anidri Beach), the Sougia village and the Gorge of Agia Irini (Crete is a unique geological phenomenon due to it’s innumerous gorges), the amazing, amazing, amazing Menies and the ancient city of Diktyna (you need a jeep to go there and be careful that you don’t kill any wild goats on your way :-) and all the small villages still living the old Cretan authentic way of life found in the inland. 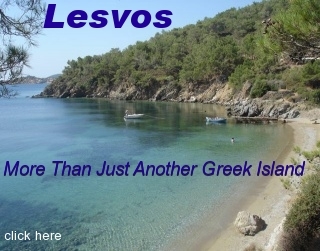 If you stay at Ammos Hotel walk from the coast, go past the row of small beautiful coves. I especially like the cove of Chrissi Akti which is not crowded at all. 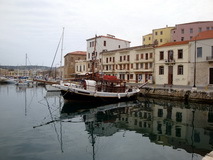 Find the port of Nea Chora with very good and decent priced fish restaurants. 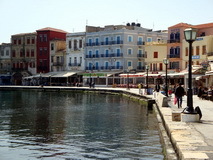 (see the restaurant page) and finally arrive at the Venetian harbor and the old city (4km walk). If You want to walk towards the mountains then go to the small but well preserved village of Galatas (30 minutes walk from Ammos Hotel ). Finally don’t miss the sunset from the sea stones mosaic surrounded swimming pool! That's all for the moment. I hope this is helpful to your readers.